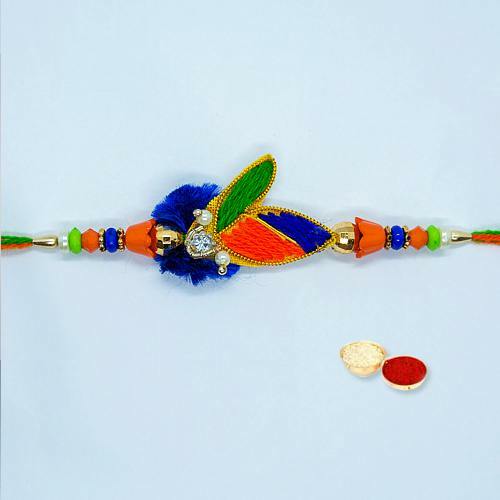 Your love for your brothers, cousins or dear ones will be defined beautifully when you gift them this Amazing Celebration with Enticing Rakhi Thread along with a free Rakhi, Roli Tilak and Chawal on Raksha Bandhan. The Satin based Red Rakhi is artistically embellished with White Stone will enthrall your brother on this occasion. Differences on pattern of Rakhi may arrive.